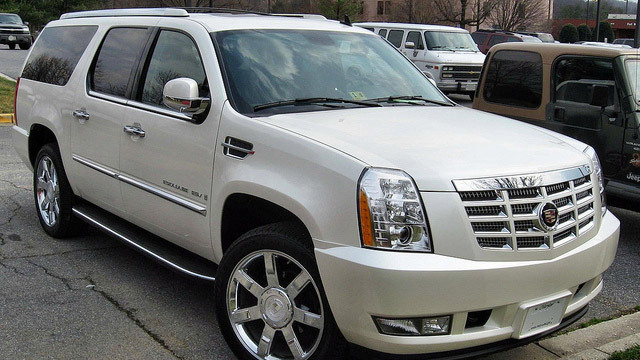 H-Tek Auto Care is the #1 auto repair center for Johnson City and Gray Cadillac owners. Our team of ASE-Certified auto mechanics has the know-how and education identify what the issue with your Cadillac is. Our goal is to provide premier services that will keep you, your passengers, and other drivers on the roads safe. Whether your Cadillac requires routine auto repairs or extensive maintenance, clients rest easy knowing that our auto mechanics undergo regular training to build upon their education and experience. Eric Henley, owner of H-Tek Auto Care and his team are committed to offering you the highest quality auto repair in Johnson City and Gray. As an AAA-approved facility and Napa AutoCare Center, it is our promise to run our business honestly. Your Cadillac will be in the hands of true leaders in the automotive industry. “Car emergencies are not so bad when you have really good people to help like Eric Henley & Jimmy Gorman @ H-TEK. My vehicle was in a dangerous need of tires and realignment and when I brought my car to H-TEK the ever dependable folks there took care of business. I'm glad I know where to go for great service for my car, before you consider where to take your vehicle for maintenance and repair, you need to understand the difference between H-TEK and everyone else. You can leave your vehicle with them and not worry about it. Their integrity in the work they do and the professionalism in carrying it out is outstanding. Thanks again, Eric & Jimmy and the H-TEK Team.” -- Ken H.
When you are in need of first-class Cadillac auto repair services for your vehicle, H-Tek Auto Care is your best choice. Our team's commitment to taking care of our customers and their families is unmatched in Johnson City and Gray. We know that you need to get on with your schedule so allow our ASE-Certified auto mechanics to help with your Cadillac. For services, schedule an appointment online. H-Tek Auto Care is located at 5882 Bobby Hicks Hwy., Gray, TN 37615.